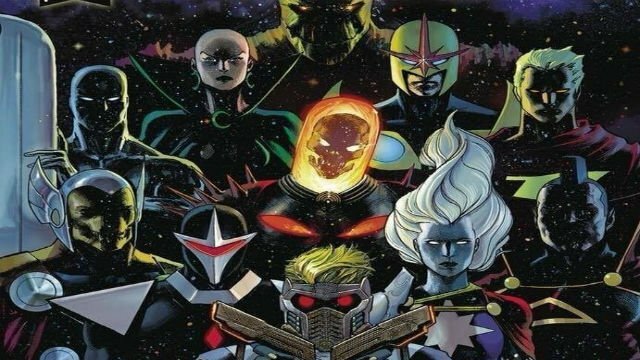 A new team of intergalactic superheroes will be seen traversing the cosmos when the Guardians of the Galaxy return next year. ComicBook.com is reporting that Marvel has finally unveiled the full roster for the relaunched ongoing series. Writer Donny Cates and artist Geoff Shaw will be the creative team, and they’ve previously collaborated on the Thanos series and their creator owned comic, God Country. 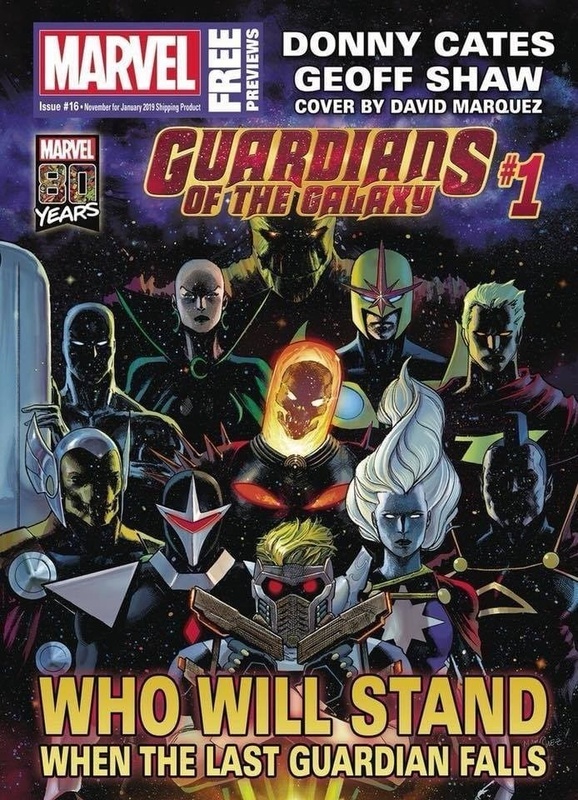 The new iteration of the Guardians consists of Groot, Moondragon, Nova, Silver Surfer, Cosmic Ghost Rider, Adam Warlock, Beta Ray Bill, Darkhawk, Phyla-Vell, Gladiator, and Star-Lord. This stacked lineup is a far cry from the tight little family unit we’ve come to love thanks to the Marvel Studios films. However, more team members almost certainly means more drama, and it will be interesting to see how Cates and Shaw portray this dynamic in the hostile environment of space. Earlier this week, Cates and Shaw’s God Country was placed into development as a as a movie, with Cates writing the script for the adaptation. Guardians of the Galaxy #1 will hit comic store shelves in January 2019. You can check out David Marquez’s cover below. What do you think of this new version of the team? Give us your impressions in the comment section!